be so creative to make this your most coziest place in your home. of an important space of your home! I don't mind it at all. I also wanted to show you my own balcony. Check the last pictures! O wauw! Over twee weken mag ik ook mijn balkonnetje inrichten! Oh wat leuk Anne! Heel veel succes! Ik heb gelukkig een redelijke tuin, maar ik vind balkons zo cosy uitzien! Love it! Thank you so much Carmen! Amazing ideas! Always sharing great inspiration :) I'm following you in Facebook now. These are all so cute, but I think anything I'd put on my balcony would get destroyed by the dutch weather!! 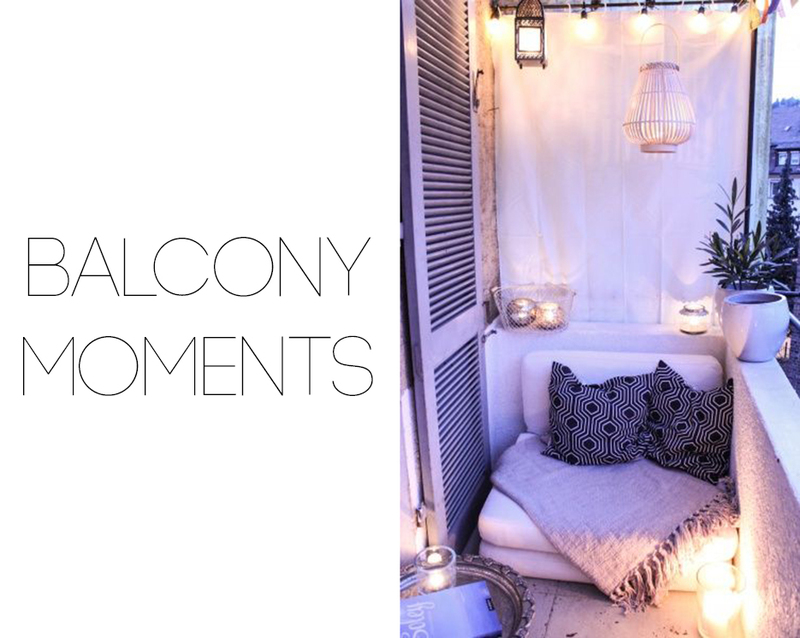 Waaw super cosy balcony inspirations :) ! Thanks! I'm so happy to inspire you!! Nice! Thanks a lot Maggie! Geweldige ideeën! Ik moet m'n balkon ook nog altijd inrichten.. leuke inspiratie! I think you should do it right away!! !